Does the MCU Need More Street-Level Heroes? The space stuff is cool and all, but what about some more grounded punching and kicking in the Marvel Cinematic Universe? In Avengers: Age of Ultron, Tony Stark teases while pointing to the heavens, “That up there, that’s the endgame.” But while he may simply have been referring to a larger threat within the context of the films, perhaps Marvel Studios head honcho Kevin Feige was cleverly teasing more than just last year’s superhero epic Avengers: Infinity War. Perhaps he was teasing the entire direction of the MCU? With more emphasis being put on the cosmic corner of the Marvel Cinematic Universe over recent years, with the likes of Guardians of the Galaxy, Thor, Infinity War, and the upcoming Captain Marvel, not to mention a Planned Eternals movie and the rumoured Nova, is the MCU in danger of straying a little too far from home? Many will agree that the mad Titan himself, Thanos, is one of, if not the best villain the MCU has to offer. No mean feat considering the guy is a big purple CGI alien. But that does create the issue of how best to one-up him as an antagonist and give a good reason for the new and remaining Avengers to assemble for the next all-star team-up. Where do you go when you’ve already played your biggest hand? Thanos was a villain that had been set-up over the course of six years, popping up in different franchises and culminating in a two-part game-changer for superhero movies and cinema as a whole. What possible villain could compete? Well, the answer probably isn’t anyone from Earth. As the MCU continues to grow and introduce new and ever more powerful characters, the villains are having to up their game just to compete. And as it’s likely that the next big bad will also come from above, the need for more cosmic based Marvel properties to introduce such villains becomes a necessity. It’s important for the MCU to not lose touch with what separates it from its distinguished competition and become a bunch of demigods knocking the living crap out of each other. Recent Marvel films have proven that the lesser powered, street-level characters are just as exciting to watch without having to lose any of the stakes. Take Ant-Man, for example. The reason we rooted for Scott Lang so much was because he was just an average joe (albeit with a knack for thievery and computer wizardry), flung into extraordinary circumstances and trying desperately to turn his life around. There was no need for an Earth-shattering final confrontation for the fate of the universe. Just a miniature (and humorous) showdown in a little girl’s bedroom. In Spider-Man: Homecoming, Peter Parker’s ultimate objective was stopping a thief from stealing Stark technology. Was the world going to end if the Vulture got away with his dastardly plan? No. But as an audience, we were invested in the character’s motivations. Michael Keaton’s portrayal of a workman pushed into financial hardship at the hands of a large corporation and having to resort to crime to support his family was something easily relatable and all the villain we needed. 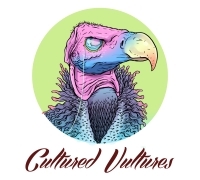 Without street-level heroes, grounded in a world we know and recognize, villains like The Vulture would have no place. I find it hard to imagine Thor breaking much of a sweat taking on CrossBones or Ghost. Besides, it’s not like Cap or Iron-Man go out patrolling the city at night. Who else is going to look out for the little guy? Unfortunately for Marvel fans, some of its best (and more popular) heroes can currently only be found on streaming giants like Netflix. Although, with three out of four members of The Defenders (Daredevil, Luke Cage and Iron Fist) already getting the axe, and with speculation that The Punisher and Jessica Jones are not far behind, Marvel may well be able to introduce the man without fear and his Manhattan-based buddies into future projects down the line. But it’s not just Netflix hogging some of Marvel’s street-level heroes. Disney’s own streaming service Disney+ is set to launch later this year and the guys at Marvel Studios have already been busy hand-picking characters to headline the various spin-off series’ for the channel. As big as the Marvel Cinematic Universe is, not every character can have (or deserves) their own film franchise. Characters already announced to be getting the small screen treatment are Falcon and Bucky (Winter Soldier), Scarlet Witch and Vision and everyone’s favourite trickster, Loki. And while these shows give fans the chance to delve deeper into these beloved characters in a way the movies probably couldn’t, it can mean lesser chances of having future street-level heroes hitting the theaters when they can always just dump them onto our TV screens. Expect more heroes to be given the direct to TV treatment in the years to come, including a rumoured Hawkeye outing as well as a possible Young Avengers series featuring fan favourite Kate Bishop (aka, the other Hawkeye). A lot of fans have been waiting years now for Clint Barton to get his due in the movies and may instead have to settle for signing up to Disney+ in order to get their fix of the avenging archer. Diversity is all the rage in Hollywood right now (give them a break, it only took them a hundred years) and with recent mega-hits like Black Panther, Wonder Woman and Aquaman making it rain at the box office, Marvel is doing its best to give its audience a more diverse cinematic universe. This could be Marvel’s best shot at balancing their cosmic and Earth-based superhero properties. Black Widow is one of the more complex heroes in the MCU and after what felt like an age of ‘we’ll see’ and ‘maybes’ the femme fatale is finally getting her own solo feature. Not only will Black Widow be able to distinguish itself from other entries in the MCU, moving away from traditional superpowered fare in favour of a more grounded and grittier espionage tale, but it’s rumoured the film could well be Marvel’s first R-rated release. Not to say that a Black Widow movie couldn’t be done with a PG-13 rating, but a more lenient stance on violence and bloodshed could do a lot to bring the former spy’s troubled past to the big screen. However the movie turns out, it’s bound to be a stark contrast from fellow entries in Marvel’s Phase Four schedule. Further plans for Marvel’s expansion into diversity include the planned Shang-Chi movie, which is reportedly being fast-tracked in the hopes of doing for the Asian audience what Black Panther did for the black community. If any character in the MCU encapsulates street-level, its Shang-Chi. No need for superpowers here folks, Shang-Chi is all about martial arts. The self-proclaimed master of Kung fu is a frequent collaborator with the likes of Iron fist and Daredevil in the comics, but the idea of a 70s inspired martial arts take on the superhero genre is something that could really open up the world of the MCU and give way to other de-powered heroes and villains to step forward. As the rights to Fox’s superhero properties come home to Marvel proper, presumably within the following year or so, the integration of the X-Men into the MCU opens the door to a slew of possible directions for the studio. While the plan is almost undoubtedly to recast and reboot in terms of the franchise as a whole (not including Deadpool that is, who stands the best chance at being the only Fox creation to successfully make the cross-over to the MCU unchanged), the added roster of mutant misfits will certainly even out the scales when it comes to a geographical standpoint. The flip side to that coin is Marvel will also be getting the rights back to the Fantastic Four, another ensemble group of heroes, which heavily rely on the cosmic side of the Marvel Universe, creating a bigger shift toward all things space based. Adam McKay, director of this year’s Oscar hopeful Vice, has already voiced his openness to helming a film featuring the Silver Surfer. And if such a film does come to fruition, that would certainly mean Galactus isn’t far behind. It’s not much of a stretch to think the destroyer of worlds could well be the next big bad in a possible Avengers 5. Still, the sheer volume of characters coming over from Fox means there will be no limit to the number of spin-offs and solo films. Characters like Wolverine and Gambit are perfect examples of heroes that could do well from a more realistic approach and help the scales from tipping too much towards the otherworldly. 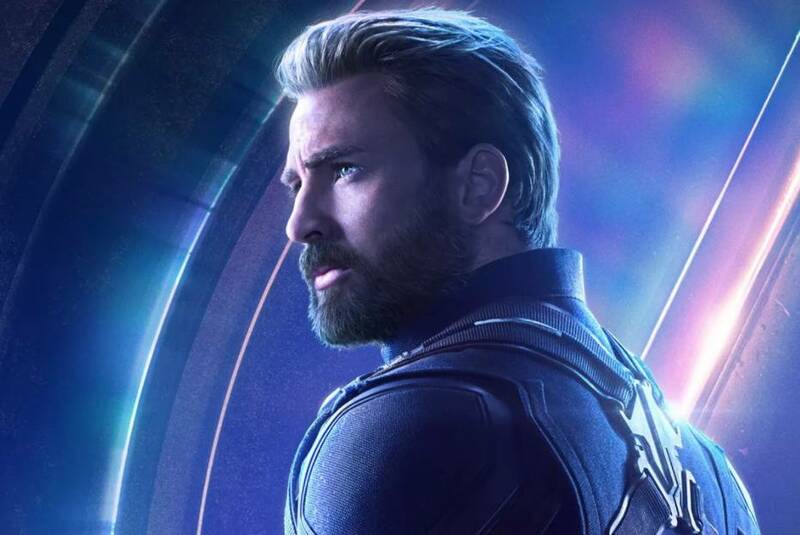 As Marvel’s Phase Three draws to a close this April with Avengers: Endgame, and some OG Avengers presumably saying their fond farewells, all eyes are on Phase Four and the next chapter of the MCU. It’s been heavily implied that Captain Marvel herself will be taking over leadership duties after Endgame wraps up. But if Cap, Thor, and Tony really are hanging up their helmets for good, who will be left to replace them? Doctor Strange? Black Panther? The Black Knight? With so much potential for relatable human drama, and with so many great lesser-known heroes to dig out from the Marvel vaults, let’s just hope there will always be a place for the friendly neighbourhood heroes and defenders of the streets within the greater Marvel Cinematic Universe. Freelance writer. Areas of interest include Sci-fi, comics, sketch comedy and sitcom. Still dreams of one day getting bitten by a radioactive spider.